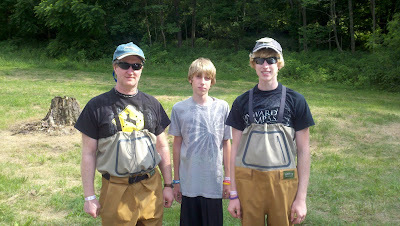 Had a trip with Greg, Matt, and Aaron on Monday at the river. 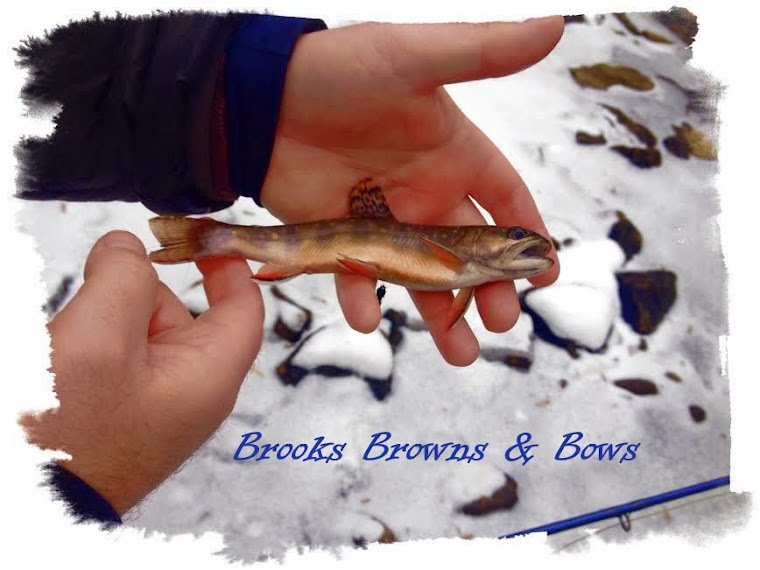 It was teaming with Caddis, but were a bit gun shy from the pressure from this past weekend. I used some of my CDC Caddis patterns that forced about 30 fish to rise. They did rather well for not having any experience fly fishing. Matt did the best by landing three bows and a brown. After the trip, Mike and I left the Field Club to check out a pond on property. We caught one bass right at dusk and spooked two nice ones early on. We decided that we threw the mouse pattern too early. 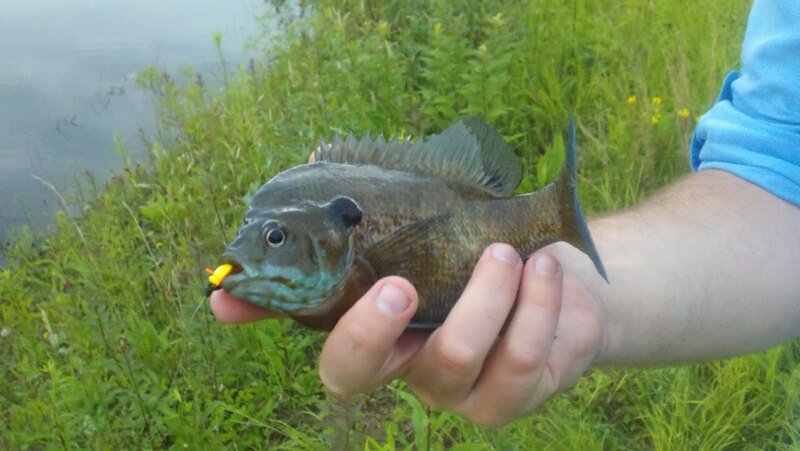 So we ended up with a bunch of angry looking Bluegills like this one pictured above. After this post, we are headed to an awesome farm pond for some bass tonight. Last but not least, Zoie is officially house trained. Her is a picture of her telling it is time to go out. She is progressing rather well. Still working on basic obedience with her. Just picked up a Tri-Tronic collar for training later down the road as well. But none the less, a quick Zoie update. Nice post and congrats on training the dog! Not an easy task.